To make antibiotic resistance a globally recognized health issue. The WHO says that antiobtics are a precious resource in the fight against bacterial diseases and should not be squandered for the wrong reasons. The misuse of antibiotics is seen as a prime reason for the alarming rise in antibiotic resistance. In some regions of the world, for instance, there are no standard guidelines on the use and prescription of antibiotics. Antibiotics may be available as over-the-counter (OTT) drugs and as such would not require a qualified medical practitioner’s prescription to obtain. Individuals may often press their medical practitioners to prescribe antibiotics and may also store and then self prescribe them for illnesses that do not need or may not respond to a course of antibiotics. For their part, health practitioners may be over hasty in prescribing antibiotics when other courses of treatment could have been tried first. It is these kinds of practice that the WHO awareness campaign aims to shed light on, and to counter with informed advice and education. With bacteria not only developing new resistence mechanisms but being more easily transmitted, with speed, throughout the world, it is likely that our ability to treat common infections will diminish. With this transmutation of bacteria, we may find that infections such as pneumonia, tuberculosis, and blood poisoning will be far harder, and sometimes also impossible to treat as antibiotics become less effective. The WHO predicts that we are heading for a “post-antibiotic era, in which common infections and minor injuries can once again kill”. While new antibiotics are in preparation, they are not expected to be as effective. Furthermore, if antibiotics fail as a first line of attack against infectious disease, more costly, less widely available and usually lengthier courses of treatment are required. Medilink serves clients who operate in some of the most remote and disease-prone regions of the world. We offer a range of immunisation and occupational health services aimed at preparing our clients’ staff for deployment and also monitoring their health at regular intervals in the field. We operate along the lines of the precautionary principle, ensuring the optimal health and safety of our clients in the face of the known, and likely health risks they face. 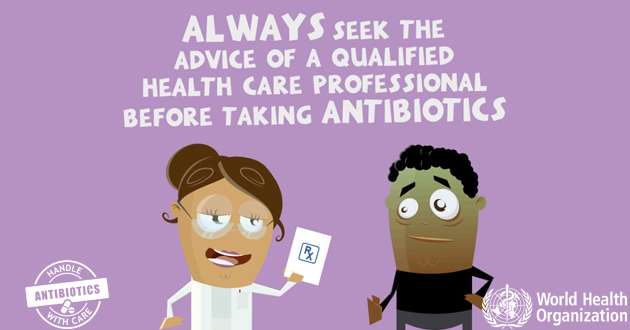 Talk to patients about preventing infections. Medilink offers a weekly international Medical Health Alert service covering disease outbreaks and prevalence across the globe. To receive this advisory, just sign up below.